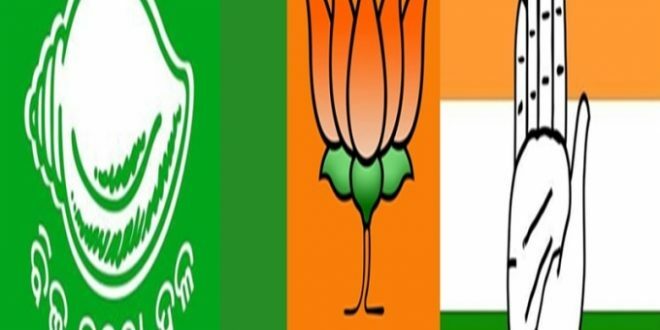 Bhubaneswar: The Bharatiya Janata Party (BJP) has put up an impressive show in the recently concluded panchayat elections while the Congress party was decimated. 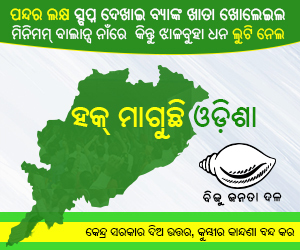 The ruling Biju Janata Dal (BJD), however, managed to remain at the top position despite losing about 179 seats. 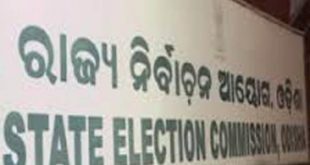 The final results for the Zila Parishad zones were declared at block offices with the tabulation ended on Saturday. The State Election Commission (SEC) would publish a detailed report of the victorious candidates on Sunday. While BJD retained the top position by grabbing 472 Zilla Parishad zones, BJP rose to the second spot with 298 seats. Congress was relegated to the third position with only 60 seats. On the other hand, Independent and other candidates have managed to pocket 16 zones. Out of 849 ZP zones, results of 846 were declared while results of three other zones, one each from Cuttack, Bolangir and Ganjam district, have been put on hold for various reasons. Elections were held for 849 Zilla Parishad zones in five phases between February 13 and 21. In 2012 panchayat polls, BJD had secured 651 seats while Congress bagged 126 seats. BJP could manage to get 36 seats only. However, the 2017 elections witnessed a massive surge for BJP. 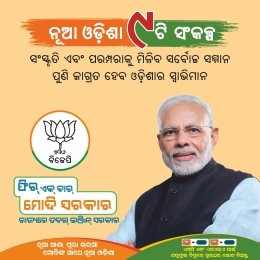 It has not just made major inroads into the areas of the dominance of BJD, but it has also become the main opposition party pushing Congress to the third position. 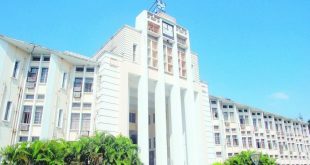 The BJD secured a majority to form Zilla Parishad in 17 districts while BJP would rule in eight districts and Congress in one. The pictures of Nabarangpur, Gajapati, Rayagada and Sundergarh district has remained unclear.